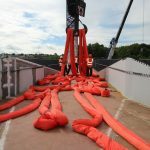 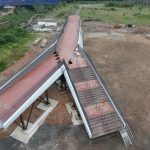 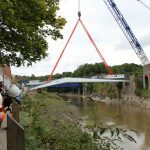 The St Philips footbridge is a striking new addition to the Bristol landscape and will provide access to a new development on Temple Island in the Temple Quarter area of Bristol. 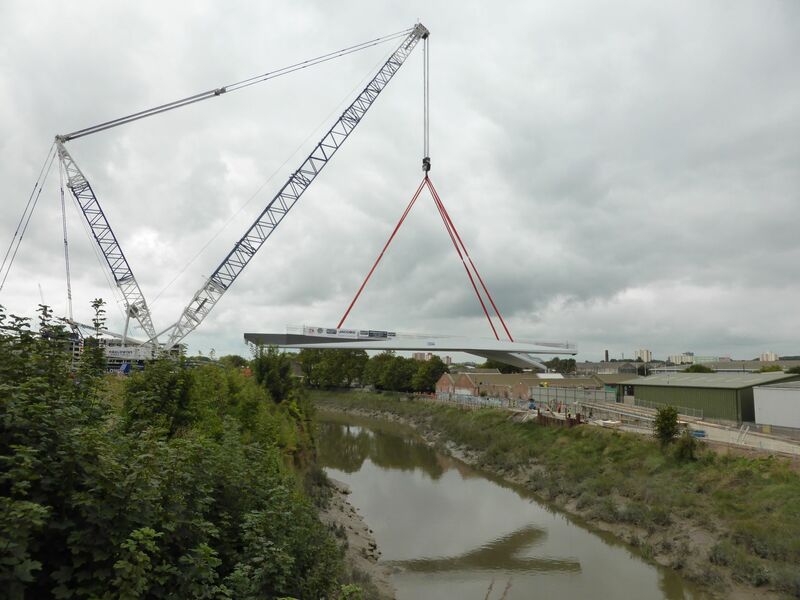 The plated ‘Y’ shaped structure spans the River Avon and the Knight Architect design had to accommodate the height difference between the two riverbanks. 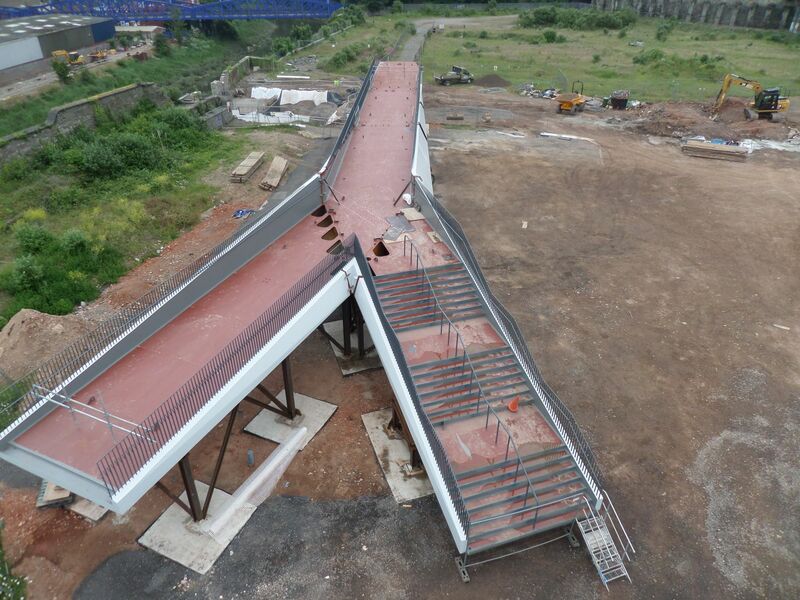 The ‘Y’ shape at its eastern end provide both stepped and ramped access to the new crossing. 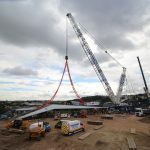 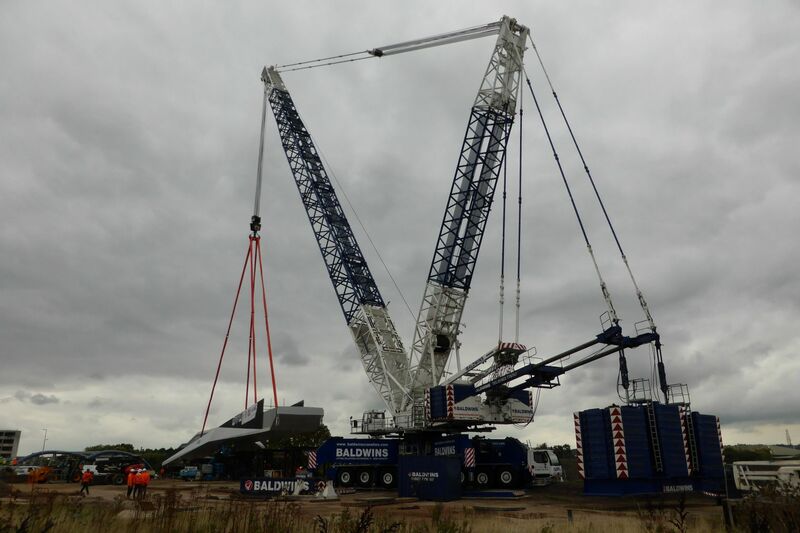 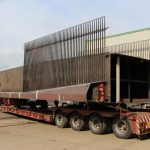 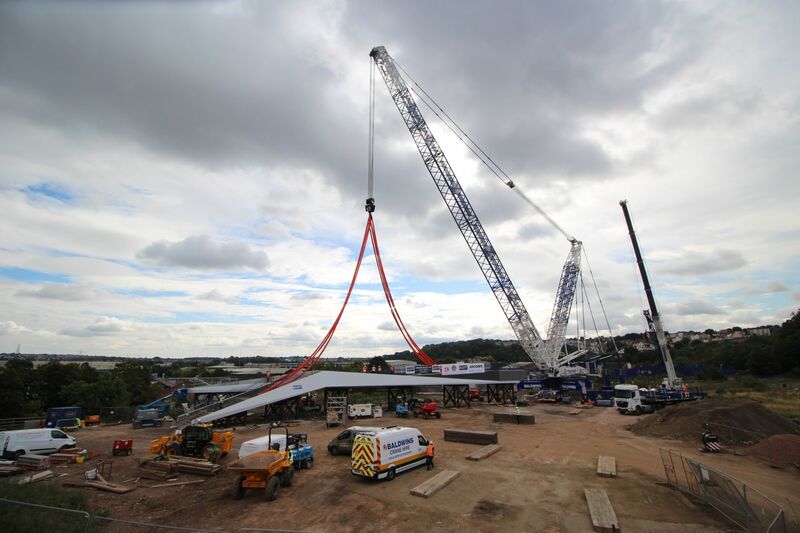 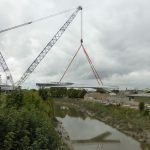 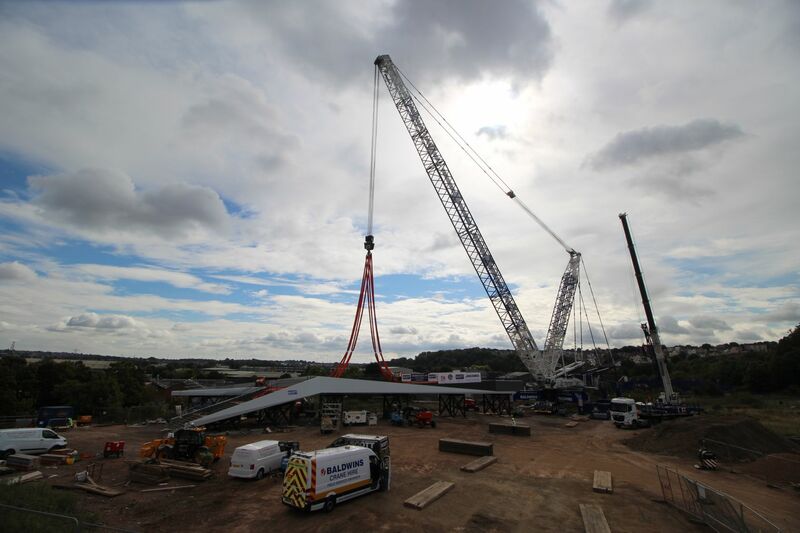 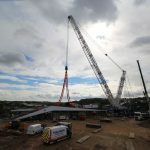 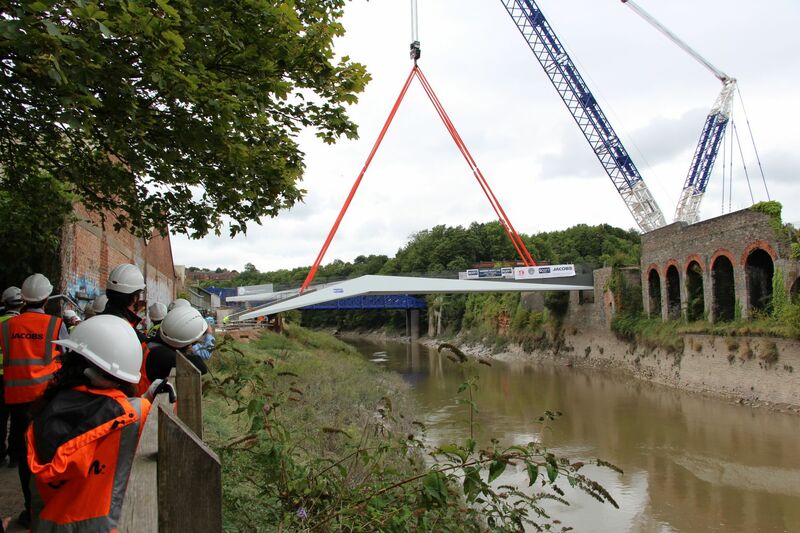 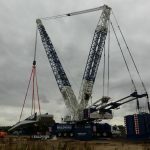 The bridge was fabricated in sections in our North Yorkshire facility and then assembled on site before being lifted into place with the enormous LG1750 mobile crane. 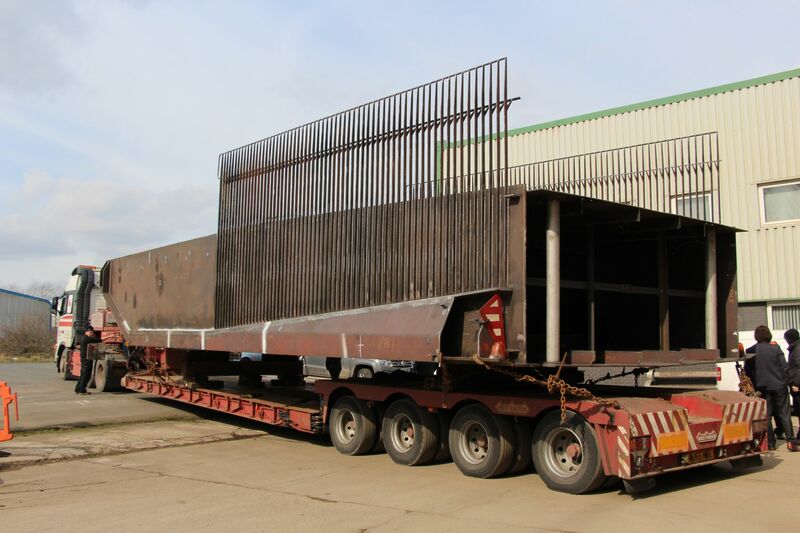 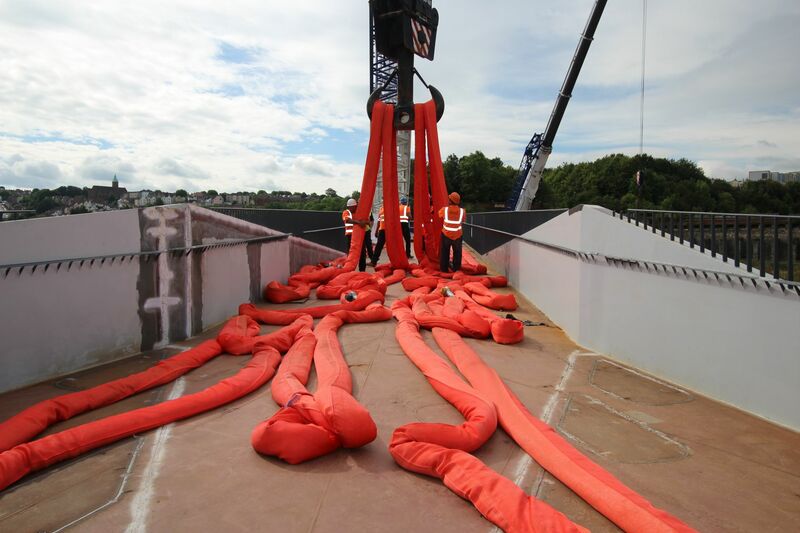 The fully assembled bridge is 52m long and weighs 160te.